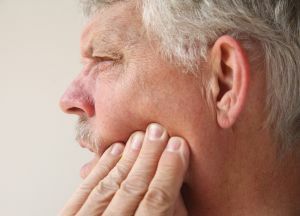 Jaw pain, difficulty chewing, jaw locking, headaches and facial pain are all conditions, which can be reduced or eliminated with physical therapy. We perform a comprehensive assessment of posture, upper quadrant muscle strength and flexibility, TMJ mobility and musculature, and daily habits to establish a personalized program to restore normal sleep, eating and other daily activities. Manual therapy and stretching to restore normal joint mobility and comfort. Trunk, upper extremity and facial/oral strengthening and stretching exercises to regain full motion and TMJ function. Home exercises and postural training to improve spinal and TMJ alignment limiting abnormal motion and wear and tear. No referral is required, but we do accept referrals from many dentists, oral surgeons and neurologists.